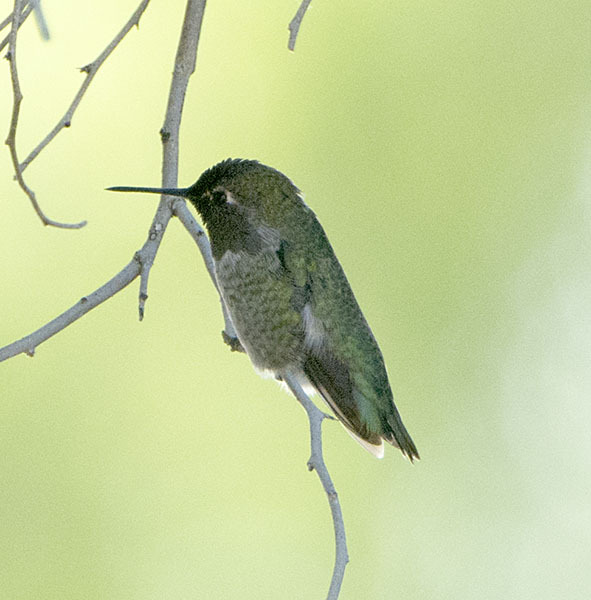 Anna's Hummingbird #14 - On the way to Patagonia, I stopped in southwest Tucson at W. Broadway and Shannon Road. 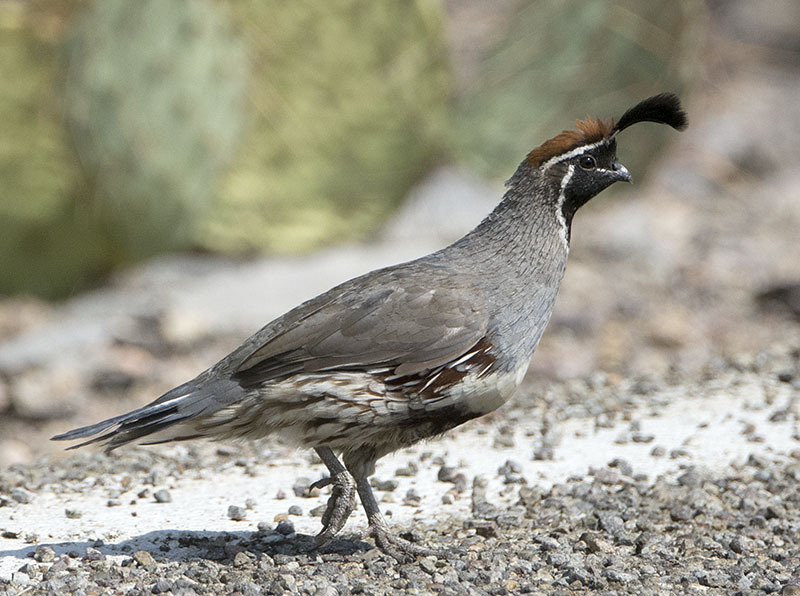 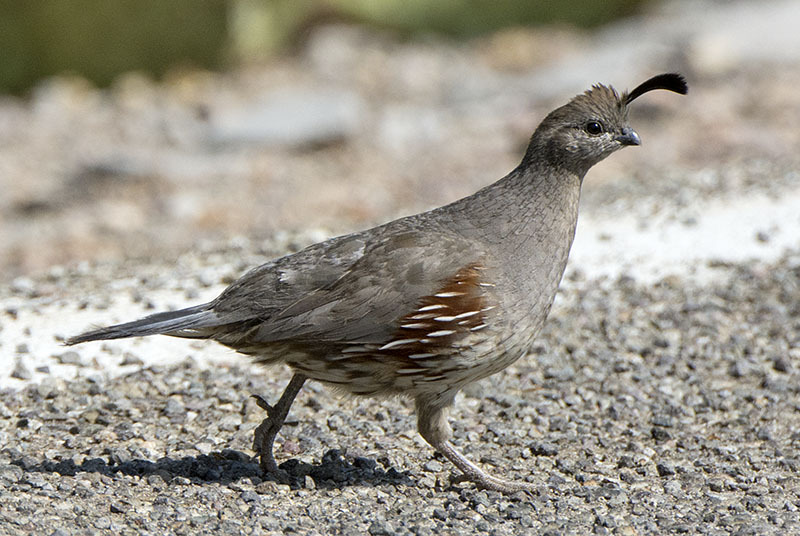 Gambel's Quail #21 - ...followed closely by a female. 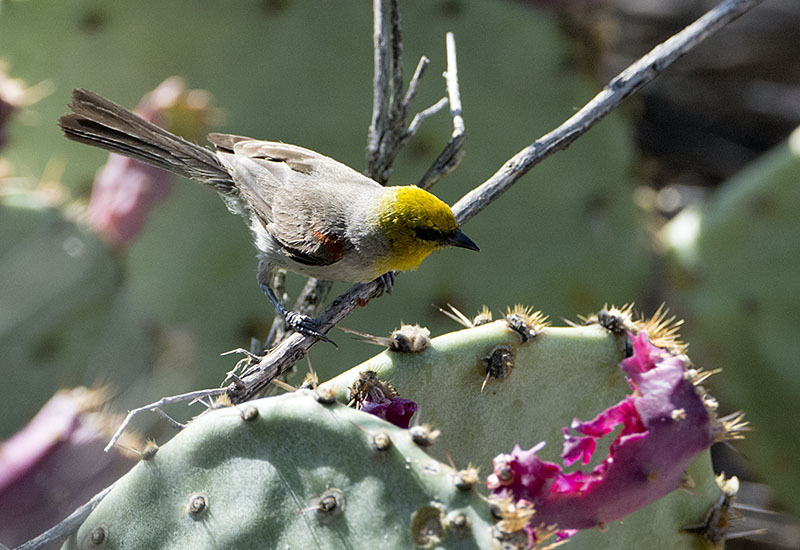 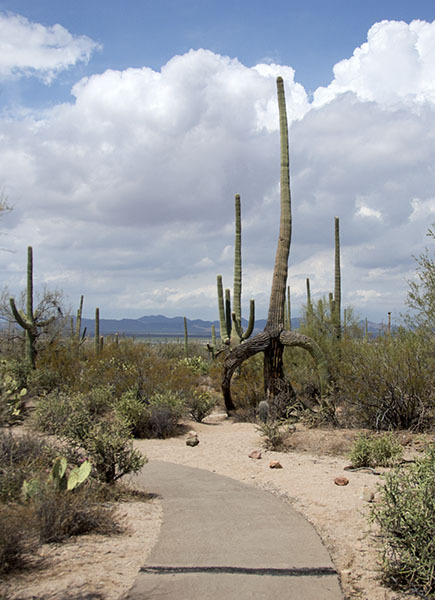 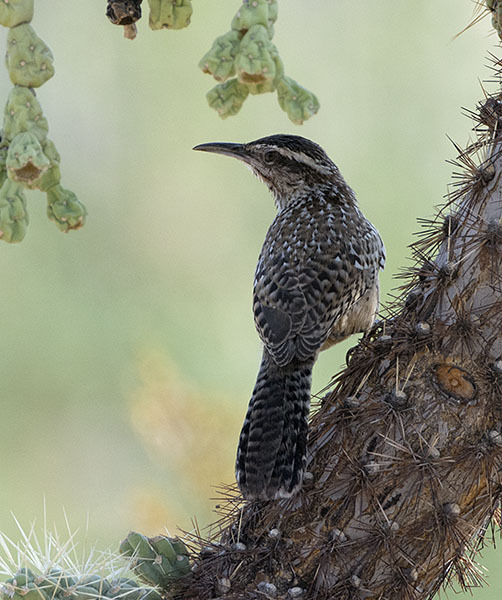 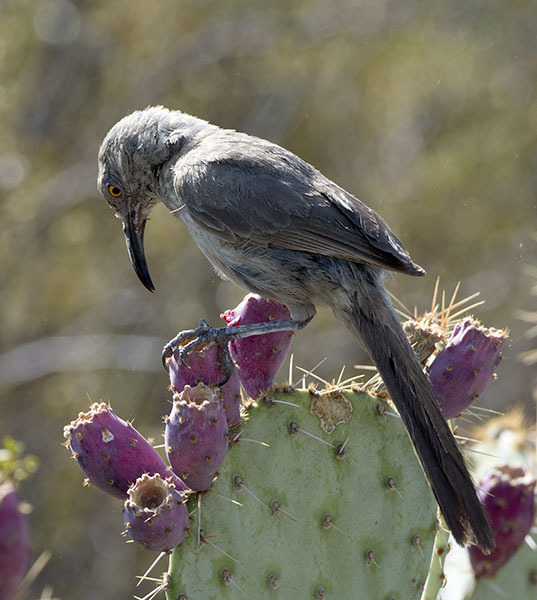 Cactus Wren #16 - ...and his mate, who was attending to domestic matters. 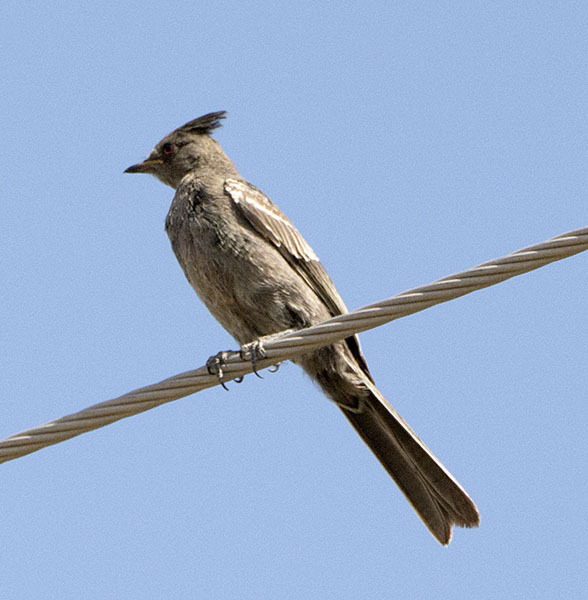 Phainopepla #1 - Even the power lines have good birds...here a female Phainopepla. 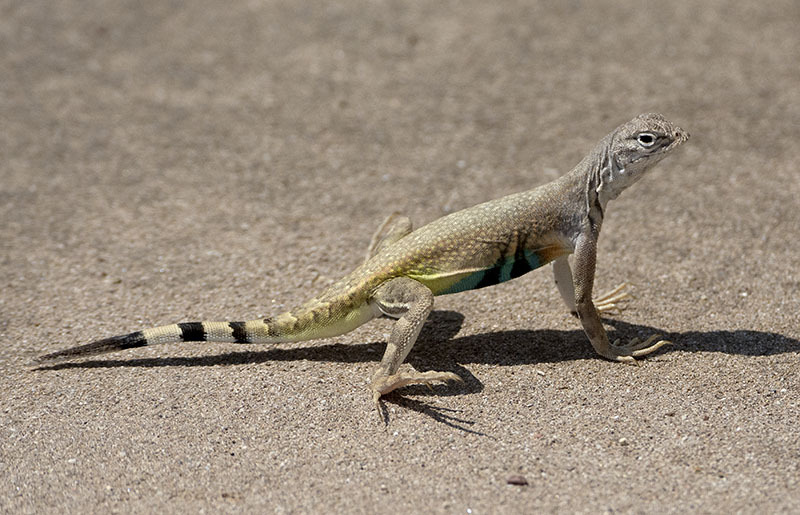 Zebra-tailed Lizard #3 - There were several males displaying along the roadside. 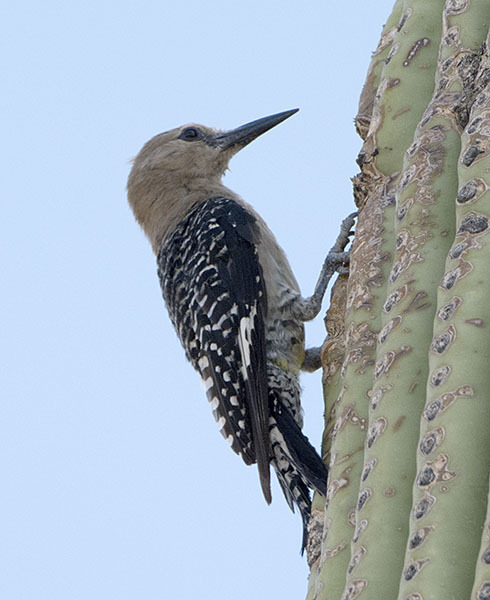 Gila Woodpecker #4 - ...yielded this Gila Woodpecker, but little else. 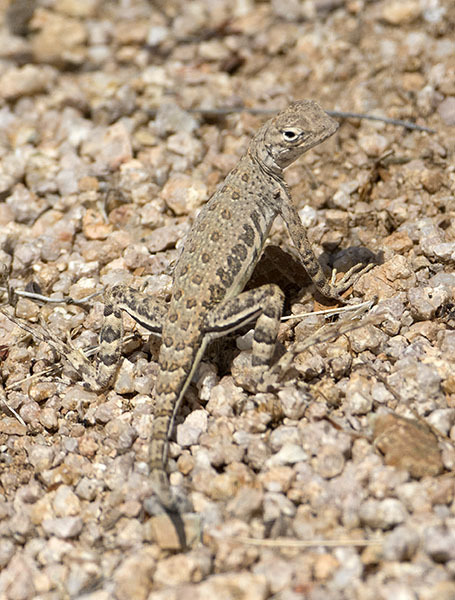 Elegant Earless Lizard #1 - This Elegant Earless Lizard scurried away on the nature trail at the Visitor's Center. 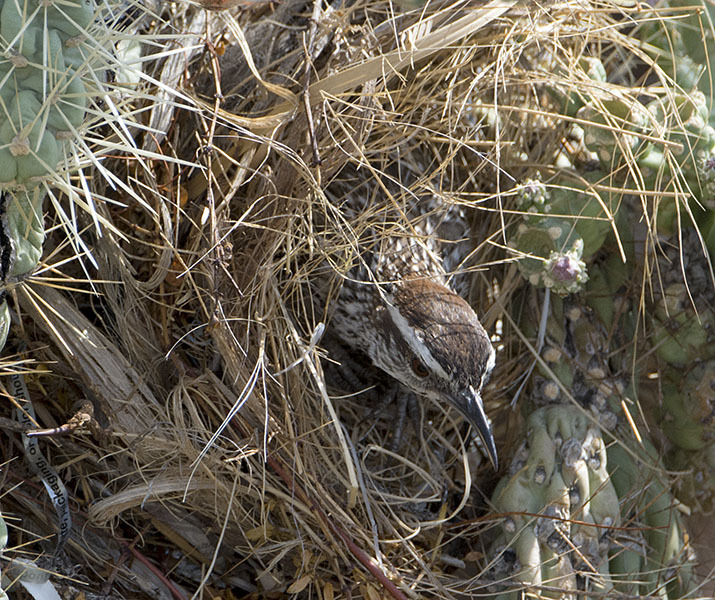 Comments on the ID are welcome. 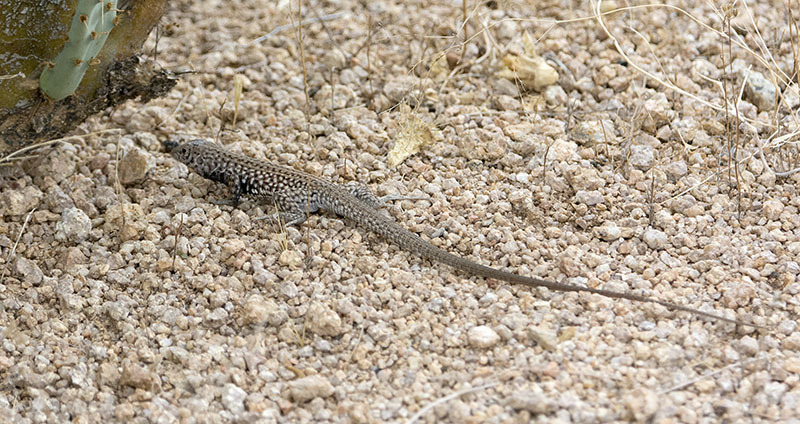 Tiger Whiptail #1 - This lizard quickly retreated under the rock just after the photo was taken.